Jamaica is an island that is famous the world over. It is a name almost everyone has heard, and for good reason. Reggae music, Jamaican rum, Blue Mountain coffee and jerk spice all come to mind when Jamaica is mentioned. But what is there to do and see if you go there? 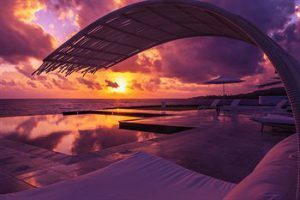 The many television commercials likely give the impression that sitting in a chair on a beautiful white sand beach with a cold drink as you stare at shimmering blue water at a resort is the main thing people do when they visit. Sounds really good to me! But I have found a long list of other adventures and attractions that seem well worth looking in to. But let’s start with the beaches. There is much variety in this category. 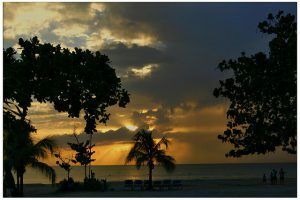 Negril’s Seven Mile Beach, located on the western end of the island, is probably the most famous. 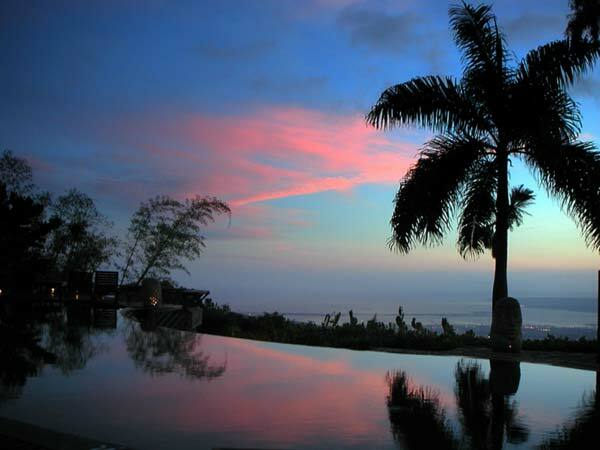 Here you can lose yourself in the beauty of a sunset silhouetting waving palms, scuba dive or snorkel, visit one or more of the many bars and restaurants lining Long Bay, or have a spa treatment. There are all inclusive resorts like Sandals as well as smaller, more intimate hotels and guesthouses. For a peaceful afternoon picnicking and snorkeling, go to Lime Cay, reachable only by boat from Port Royal. If loud music and a more boisterous atmosphere is your thing, Hellshire Beach near Kingston would be the right destination. Also in the south is Treasure Beach, where you will find elegant residences and villas, cooking classes, farm to table meals, yoga and quiet. Winnifred Beach is on the north coast and is the place to mingle with the locals, being widely regarded as the free beach of the people. Doctor’s Cave Beach, near Montego Bay, a colorful but crowded beach with calm, blue waters and near white sand, is world famous. For off the beaten path beaches that offer a bit more seclusion as well as stunning scenery, head to the beaches of Eastern Jamaica, such as Rafter’s Nest Beach, a black sand beach, or Long Bay Beach. The interior of the island offers a wide variety of experience. Climbing Blue Mountain Peak is one of them and can be done as a night hike so as to reach the summit in time to experience the sunrise. Stunning views of the island, coffee plantations and even Cuba await. 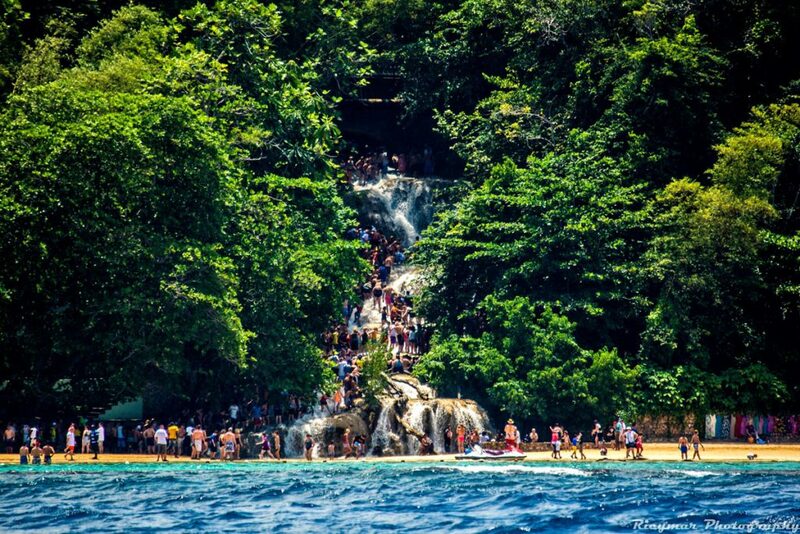 Dunn’s River Falls near Ocho Rios, is one of the most popular attractions in Jamaica. Measuring about 180 feet high and 600 feet long, the waterfalls can be climbed like a giant staircase due to the natural terraces. The climb takes about an hour to an hour and a half and there are guides to help you. Another of the numerous waterfalls of Jamaica is Reach Falls. One of the most picturesque, Reach Falls offers foaming pools of fresh spring water, underwater tunnels and a beautiful location near the east coast. Port Antonio in the northeast part of the island is well known as a getaway for the rich and famous. 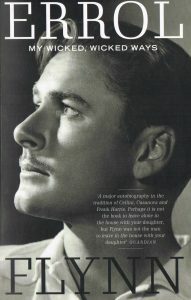 The actor Errol Flynn became a resident of the area for a while when is boat was damaged and ran ashore during a storm. 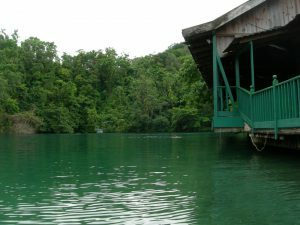 He famously declared that Port Antonio was “more beautiful than any woman he had known”. He ended up as the owner of Navy Island in Port Antonio’s Harbor, having won it in a card game. That at least is how the legend goes, but he did purchase a ranch and a hotel as well. Errol Flynn, prominent resident of Port Antonio. Cover of autobiography. Being a James Bond fan, I can’t pass up mentioning that Ian Fleming, the author of the 007 series, owned an estate named Goldeneye nearby, where he would go every winter to write a new James Bond novel. 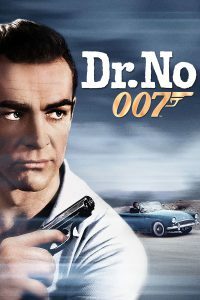 The movie Dr. No was filmed nearby. Bob Marley bought Goldeneye from him in the late 1970s and today it is a resort hotel run by Chris Blackwell, the founder of Island Records. Getting back to the water theme, the Blue Lagoon, should be familiar to many because of the Brooke Shields movie. Yes it is THAT Blue Lagoon and it IS blue, although it changes colors during the course of the day. It is part freshwater and part salt water, making it possible to experience two different temperatures as you swim around in it. And now back to Errol Flynn who, in the 1940s, started romantic, moonlight rafting trips for tourists on the Rio Grande river. The waters turn a shimmering silver by the full moon and can still be booked today. The Luminous Lagoon of the Martha Brae River, near Falmouth is famous for the phosphorescent glow emitted from small organisms in the water. It is an amazing sight to see the outlines of the fish illuminated as they swim in the dark. If it rains, the water drops light up as they hit the surface of the water. 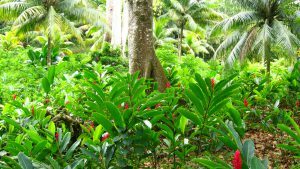 There are also great rafting trips on the Martha Brae River during which you can take in the lush tropical scenery, colorful birds and wildlife on a relaxing 3 mile tour. To see some crocodiles, take a boat tour of one of the largest wetlands on the island, the Black River Great Morass. The “Cockpit Country” of western Jamaica is dominated by round hills, sinkholes and caves. The wildest area of the island, its rugged terrain is part of Jamaica’s largest remaining rainforest. The Maroon town of Accompong has been described as a nation within a nation due to its still standing treaty with the British in 1739. Located in the heart of Cockpit Country, the residents preserve their peaceful, ‘old way of life’. Visitors are graciously welcomed and there is a Maroon Festival that takes place in January featuring music, dance and stage shows. Kingston is the boisterous capital of this island nation. With over one million people, it is the largest predominantly English-speaking city south of the United States. As with many major cities of this size, one must take precautions and try and stay in the right areas. There is plenty to see and do, starting with the Bob Marley Museum, located in the reggae musician’s former residence. The museum offers one hour tours. Devon House, built in 1881, is the estate of Jamaica’s first black millionaire, George Stiebel. Hope Botanical Gardens offers 200 acres of attractions including palm groves, cactus gardens, an orchid house and various ponds. From Kingston, it is only a short trip to both Spanish Town, the old capitol of the island, and Port Royal, where you can explore Jamaica’s colorful history. Mandeville, in Jamaica’s interior, is where the famous Appleton Estate, producers of fine Jamaican rums, is located. 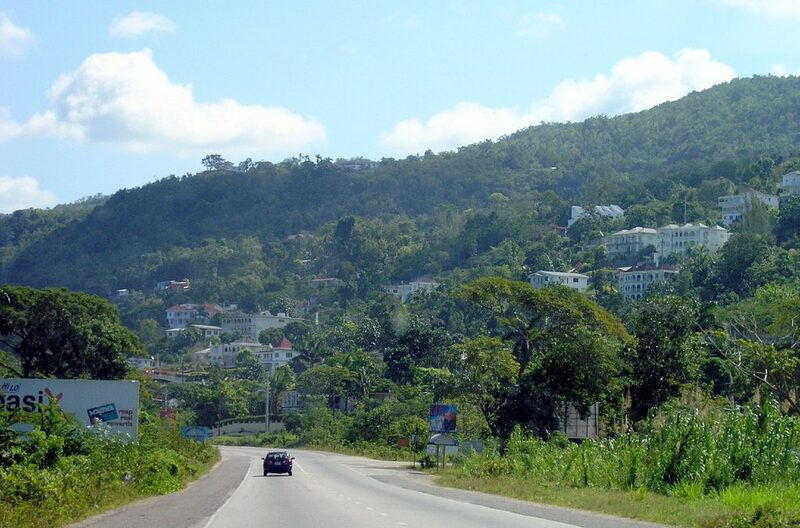 Perhaps the most English of Jamaica’s cities, Mandeville has a certain cosmopolitan feel and is popular with retirees. 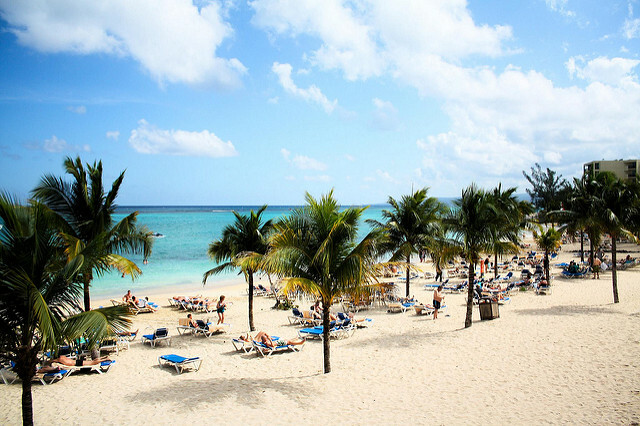 Montego Bay, or ‘Mobay’, is Jamaica’s second largest city by area and offers a very lively party atmosphere with it’s countless resorts, cruise line terminal, beaches and shopping. For more of a feeling of old Jamaica, hop over to Ocho Rios. 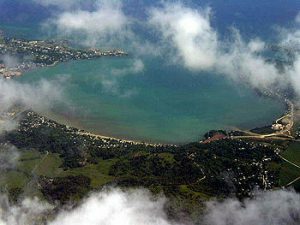 There you can visit where Columbus is said to have landed and proclaimed Jamaica, the “fairest island eyes have beheld”.